Users can request services on their own, but with ServiceBot you can also request them for your users. 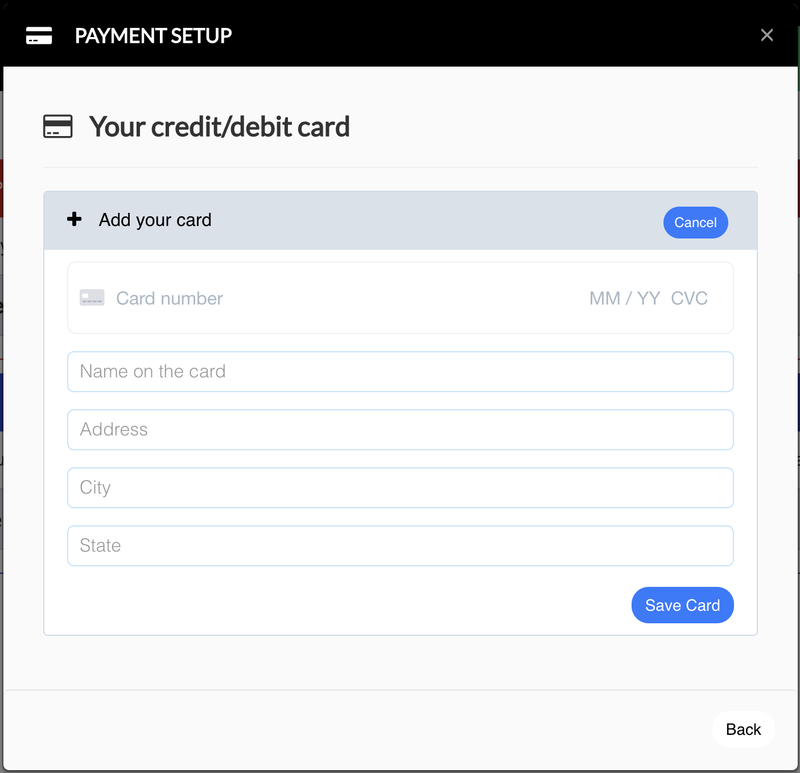 They will receive an email to enter their payment information and approve the service, or you can enter the payment information for them as well. Start by logging into your ServiceBot instance as the Administrator. We must first create the user in the system if they are not already in it. Click Manage System → Manage Users. Click +Invite User, enter their email address, and click Invite User. Note: The link provided in the pop-up after the user is invited can be used to manually activate the user’s account. You could then provide them with a password or enter Payment information for them. The user has now been invited. They do not need to accept the invitation before you request the Service for them. Request the catalog item for the customer. Navigate to your homepage and select the Service Offering you want for the customer. Select the User you just created from the For Client dropdown. Override the price if desired, or use the default pricing for the service. Enter any more required fields that are defined and click the Buy button. By now, the customer has received two emails; one for the invitation to the system, and another to approve the newly-requested service. Once they create the account, they will see the service for approval. If the Service has a free trial, is free, or a custom type, they will not be required to enter payment details to begin the service. If payment is required, they will be prompted to enter that information. Service request complete. Once the user has accepted the service and made the payment, you can view the change as the administrator. Navigate to Manage Store → Manage Subscriptions. You will see the service change fromrequested to running.